One of the most important things that I learned when I first started to gain my footing in the kitchen was the value of a kitchen scale. The ability to weigh ingredients and get precise measurements is incredibly valuable when baking, which comes down to a lot of science and chemical reactions. It was well over four years ago now when I first got on my soapbox about why I prefer weighing ingredients. Since then, I’ve included weight conversions in a number of recipes, but given the sheer volume of comments and emails I’ve received about ingredient weights, I thought it would be a good idea to revisit the topic here. The most common misconception that I hear in emails and comments with regards to weighing is the overarching belief that 8 ounces = 1 cup… forever and ever, amen. No matter what. For all ingredients. Always. For liquid ingredients like water and milk, yes, this is true. Butter is an anomaly of solid ingredients and it, too, weighs 8 ounces per cup. This is about where that line of thinking ends. All other solid ingredients (and even ones you can pour like honey and molasses), have vastly different weights per 1 cup of volume. As you can see, if you tried to use the conversion of 8 ounces per 1 cup for every single ingredient, you would likely end up with some disasters in your kitchen. For a complete, comprehensive list, check out (and bookmark!) this Master Weight Chart by King Arthur Flour. This is my go-to source for converting ingredients to weight measurements. With the ounce measurements in hand, you can easily do a conversion to grams if that is your preferred unit of measurement. I currently use the OXO Food Scale with Pull-Out Display, which has a 22-pound capacity. It measures in ounces and grams, as well as milliliters and cups for water. I previously used the Escali Pana Volume Measuring Scale for years; this is a great scale if you’re new to weighing ingredients. It comes with a chart of ingredients and accompanying codes, so you enter the code and it automatically adjusts the measuring to a volume readout, i.e. in cups and tablespoons. I replaced it because I was often maxing out the weight capacity on it; I have not yet had that issue with the OXO scale. I know that some people feel very strongly one way or the other about weighing your ingredients or using the traditional measuring cups. Sure, weighing seems more like science class when you could be using pretty measuring cups shaped like birds, but the truth is… it’s just more accurate. 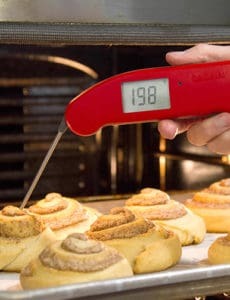 If you crave consistent results with your baked goods, and especially if you venture into pastries or breads, you’ll want to get in the habit of weighing ingredients. I try to include weight measurements where possible, and will be striving to do so even more going forward, so keep an eye out! Hi Carol, As I mentioned in the post above, there are many different opinions on the weight of 1 cup of all-purpose flour, ranging from four to five ounces. I have settled on 5 ounces for my recipes. Aren’t you weighing the bowl as well in the picture up there? I’m so confused because I always though when measuring ingredients you AREN’t supposed to measure ANYTHING but the ingredient. PLEASE HELP! Hi Kate, If you put the bowl on the scale before you turn it on, it will not weigh the bowl. Conversely, if the scale is already on and you place the bowl on top, you simply hit “tare”, which zeroes out the weight and then you can add the ingredients. I mentioned to my husband that I needed a scale for certain recipes. He did all of the research and bought me the same scale that you have. I love it! He was happy when I showed him this. Thank you! It always used to drive me crazy when someone would try and say the 8oz-cup trick. Cup is a measurement in quanity, not weight. A few years ago I was presented with a measurement scale that weighs ounces, grams, and pounds and couldn’t have been happier to receive anything from my folks! (aside from the ice cream maker and kitchenaid mixer of course. Hehe) This is a very useful chart for those who do not have scales, thank you for sharing! I have a kitchen scale and use it on occasion but I have never used it to make an entire recipe. It seems like more work, but it sounds like it is worth it. 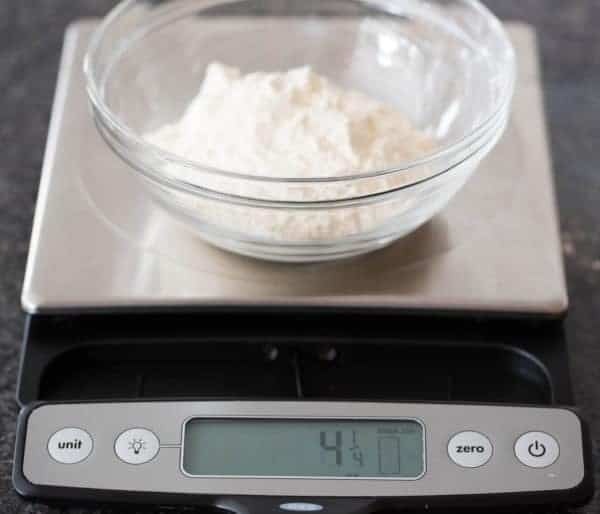 Weighing ingredients is the only way to go if you are serious about baking. If you attend any sort of professional baking course you will be taught to weigh your ingredients, even eggs. I am a transplanted American who has been living in Britain for many years, and had to get to grips with the metric system, which is actually far more logical the US cups system that I grew up with. I have totally embraced weighing ingredients as it is far more accurate, less messy, and you can use any recipe from anywhere without worrying about conversions. For example, a US pint is 16 fluid ounces and a British pint is 20, so unless you know where your recipe is from you are going to have difficulty if a recipe asks for half a pint of liquid Thank you for posting this. LOVE my scale! I make alot of bread and pizza doughs and it comes in very handy when you have a recipe that measures in weight. I am sometimes too lazy to convert it if it does not. But this chart will be very helpful – thank you! I now have 2 scales as my husband just bought me a hario http://www.amazon.com/Hario-Coffee-Drip-Scale – to use for coffee preparations and it comes in very handy as some scales do not weigh in small weights like for yeast or salt. Thank you for telling more people about the joys of measuring! I especially like measuring in grams as it is more accurate than ounces or lbs. I do have a cheap scale that I use (typically for a BEB recipe) to measure ingredients from time to time, but I actually wouldn’t trust it for all my measuring. Since I live in the Netherlands, I always weigh my ingredients (in grams, metric system). Math is so much easier using the metric system instead of the American system with liquid/solid ounces and cups etc. I do have a set of measuring cups, but I only use them if a recipe doesn’t provide weighing information. I always check the amount of grams that’s in the cup of that kind of ingredient and write it down. This way, I only use the cups the first time I am making a new recipe and the next times (if a recipe is satisfying) weighing is so much easier than baking with cups! Hi Michelle, Converting from cups to weight measurements is just as easy as using the weight chart I linked to. Find the ingredient, and then calculate how much you need in ounces. This was incredibly helpful- thank you!! I rarely accurately measure wet or dry ingredients. I get consistent, reliable results all the time. Baking isn’t a science, it is far less complicated than the professionals make it out to be. Baking, like cooking, is easier when the home cook experiments and finds out what works best for them and the environment they live in. For example, I live in a very dry environment and my baking requires more liquid than those that live in more humid climates. Baking and cooking are far more initiative than scientific. If you bake and cook with love it shows in your food. Tammy, I agree – I was thinking the same thing – isn’t that why bread recipes always describe how the dough should feel/look and instructions to add 1/2c flour at time to get it to the right consistency? I’m just wondering how you convert those recipes to an exact weight of flour – if you can – then I suppose weighing is worth it, but if you still end up having to adjust, then it doesn’t seem worth the effort. 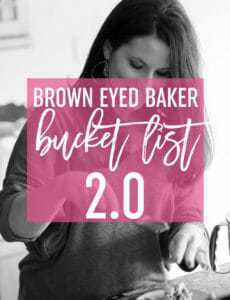 Interesting – granted, I don’t bake bread too often, but the recipes I do make (my mom’s pecan sticky rolls, for example) all have had measurements in cups. I echo EVERYTHING you said about weighing ingredients! I have been one of your readers in the past that has requested weight measurements in addition to the volume equivalents so I eagerly await more of that in the future! When I use a KAF recipe, I always switch the recipe to the version with the weights. I have also written the weight conversions in the margin of recipes I use frequently. The KAF Master Weight Chart is kept in page protectors inside the cabinet that is immediately in front of the spot where I do all my prep work because I refer to it quite often. I also like using a scale because I mess up fewer bowls, cups, etc. Can you tell I’m a scale convert?? AMEN!! :) I also have the same scale & I love it! Scale is the way to go when baking!! I have the same scale & have been weighing ingredients if the weight is on the recipe. I wonder how long the battery lasts. I’ve been able to split packaged sauce mixes because the scale is so accurate. I too recommend it. My other favorite blog, Leite’s Culinaria, is giving one away – http://leitesculinaria.com/94056/giveaways-oxo-digital-scale.html. Michelle, he’s a big fan of yours too. Michelle, Thanks so much for posting this. I have been wanting to start using my scale when I bake, but I was confused how to convert from cup to ounces. Really hope to start seeing more recipes with the ounces listed. Thanks. Oh I love you for this! The weight conversions are great! Like many commenters, I love that you include weights in your recipes! I too try to convince others to invest in a scale if they intend on doing any “serious” baking. I think that all of my recipes (that did not come with weights already noted) have scribbles in the margins for the weights of the ingredients so that I don’t have to do any more volume measuring than absolutely necessary. I wonder if the difference between Cooks Illustrated and King Arthur Flour has to do with sifting or using the dip-and-sweep method prior to measuring by volume, then putting on the scale to weigh it. That is the only reason I can come up with for such a drastic difference in weights for one cup of AP flour. Thanks for a great post – and a great blog! 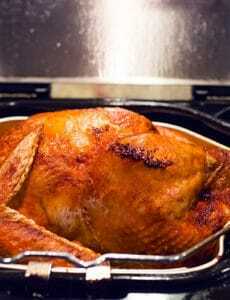 I came across your website just a few days ago and I read many great recipes. I live in Austria and here we are just weighing our ingredients (grams). Those are much more accurate when it comes to weigh flour for example. Thank you! Not only is weighing your ingredients important when cooking and baking, it’s also critical when eating. I lost 30 pounds eating exactly what I want, but weighing it and recording it. People think it’s a hassle, but it actually makes things so much easier – it takes the guesswork out!